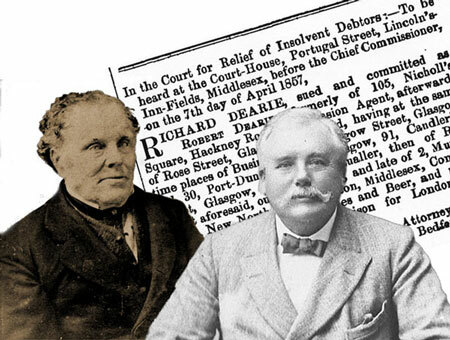 The aim of this site is to record all the information we have already discovered about Richard Dearie and his descendants. We hope that cousins will visit this site and by sharing their knowledge of the past we can make connections between America, Malaysia, Australia and Britain. This is a work in progress. Some of the information may be incorrect. If you find anything that is wrong or inaccurate please e-mail me any corrections or more detailed information if you have it. We will be updating the pages on a regular basis. For privacy reasons we have not knowingly included information on living persons. Please ask permission before using material from this site. You can search names and relationships through the Family Tree Index. If there is a link on the name you will find pages with more information. You can see photographs of people on the People page, a link there will take you to the same information pages. A list of the information pages made so far is here.